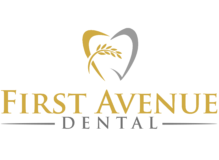 We welcome new patients to First Avenue Dental. If you are a new patient, please download the medical questionnaire and bring it with you to your appointment. At First Avenue Dental we understand that achieving your optimal oral health isn’t always an inexpensive endeavour. We work closely with your insurance companies to ensure that you can receive the treatment you need without breaking the bank. Please ask our staff about your options.